To Approve or Reject an LOA, you need to log into DMS Web and go to Local Admin, then to LOA. 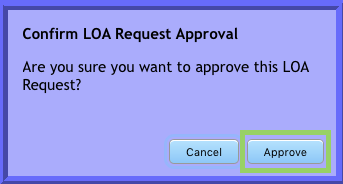 The LOA Requests screen will open and show all LOAs that are Pending. Review the request. If you Approve, click on the Approve button. A Confirmation screen will open. Click on Approve. The request will be removed from the pending list and a message will appear indicating request is approved. If you review the request and do not approve the request, it will need to be Rejected. 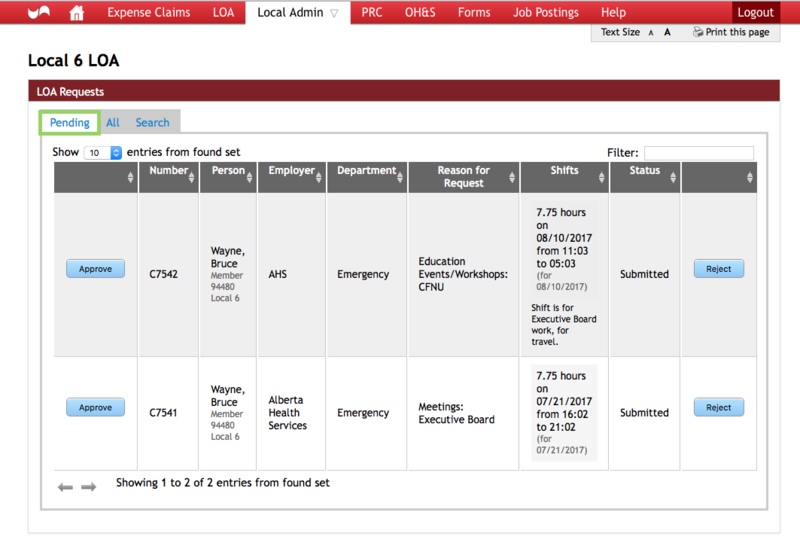 (For example, because the member is to be funded by Provincial). Click on the Reject button. 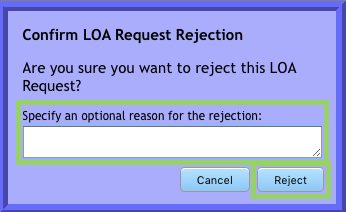 A Confirmation screen will open, enter a rejection reason, and click on Reject. The request will be removed from the pending list and a message will appear indicating request is rejected. Once all requests have been Approved or Rejected, there will be no more LOA requests under Pending.